Hemophilia A is an inherited bleeding disorder caused by insufficient clotting factor VIII (FVIII) in the blood. People with hemophilia A experience prolonged bleeding, which can lead to permanent joint damage and life-threatening hemorrhages. Prophylaxis, the regular infusion of clotting factor concentrates, is used to prevent bleeds thereby minimizing joint damage. Unfortunately, up to 30% of people with hemophilia A develop inhibitors, an immune response to treatment with clotting factor concentrates. Inhibitors make it more difficult to manage and treat hemophilia. Apart from access to care and treatment, inhibitors are the most serious challenge in hemophilia care today. While routine blood tests may suggest the presence of anti-FVIII antibodies, specialized testing is important to confirm not only the presence of inhibitors but also the quantitation to effectively adjust treatment. 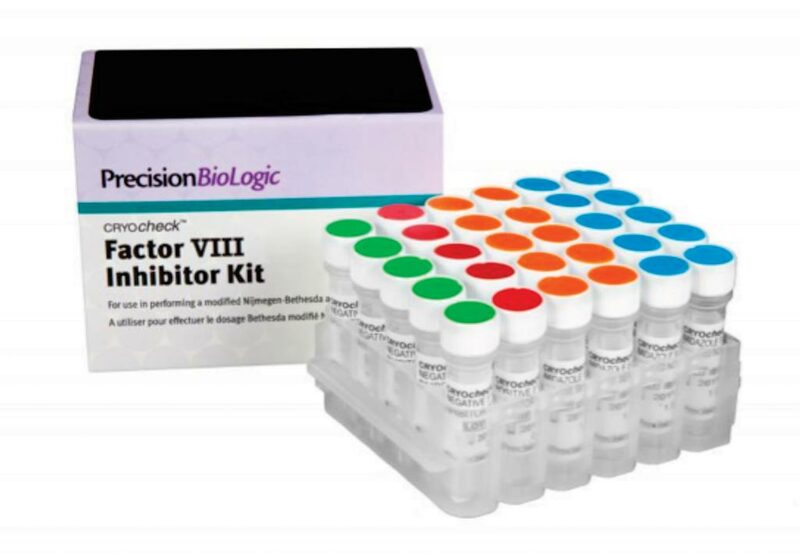 Image: The CRYOcheck Factor VIII Inhibitor Kit contains standardized components and a validated procedure to prepare patient samples for performing a modified Nijmegen-Bethesda assay (Photo courtesy of Precision BioLogic). The presence of factor VIII (FVIII) inhibitors reduces therapy effectiveness and is one of the most complex and costly complications for people with hemophilia A. Because of this, it is important for clinical laboratories to have a testing system that can accurately and precisely quantify FVIII inhibitors in patient samples. Precision BioLogic (Dartmouth, NS, Canada) developed the CRYOcheck Factor VIII Inhibitor Kit to address this challenge. The kit contains standardized components and a validated procedure to prepare patient samples for performing a modified Nijmegen-Bethesda assay as per the US Centers for Disease Control and Prevention (CDC, Atlanta, GA, USA) recommendation. A modified Nijmegen-Bethesda assay is used to determine FVIII inhibitor levels in people with hemophilia A. 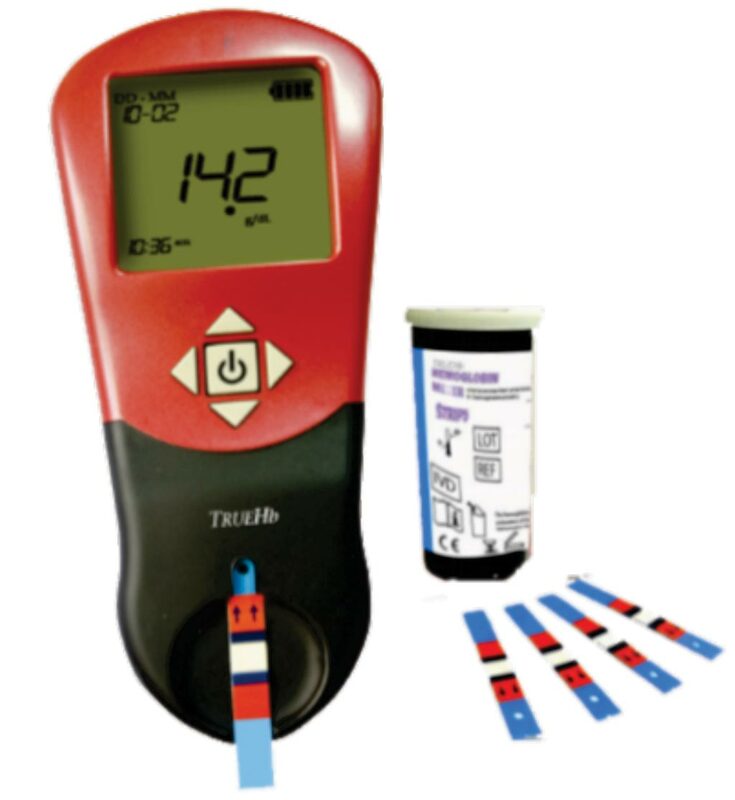 The kit has received FDA 510(k) clearance from the US Food and Drug Administration (Silver Springs, MD, USA) This clearance follows approvals received from regulatory authorities in Canada, the European Union, Australia, and New Zealand, where the kit was launched in February of this year.